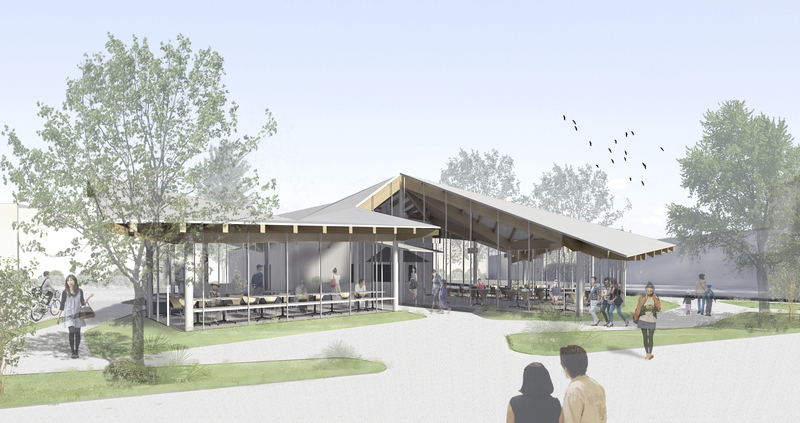 This is a proposal for a roadside restaurant in the Shonan area of Fujisawa City, Japan. We wanted to create an oasis of greenery in a context dominated by parking surfaces. 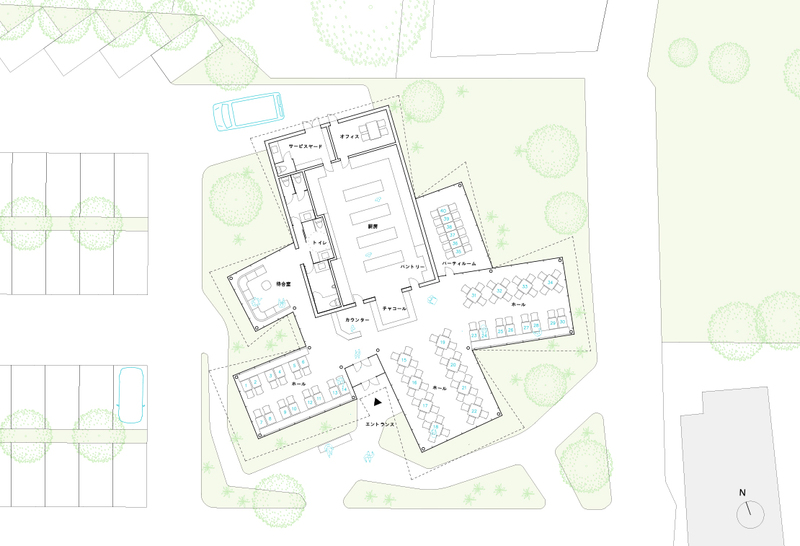 We propose to surround the restaurant with a garden by making the parking area as compact as possible. The restaurant hall opens to the garden in several directions, allowing an intimate relation between exterior and interior. 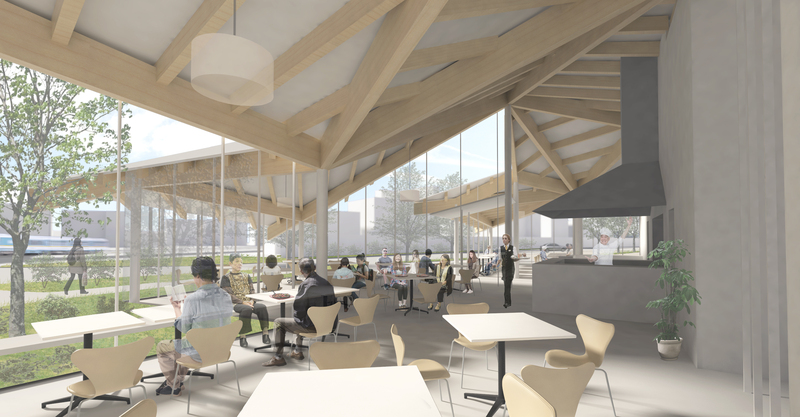 The construction consists of a wooden structure roof on steel columns, and glass walls towards the garden. The long overhangs of the rood avoids summer radiation and creates a shadowed area in the interior to control glare. 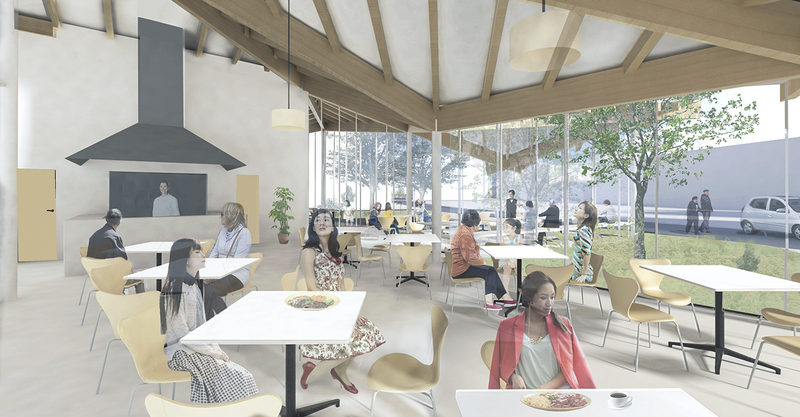 The roof varies in height to create a diverse interior space and give character to each area. An eventful space to enjoy food, surrounded by an oasis of greenery.